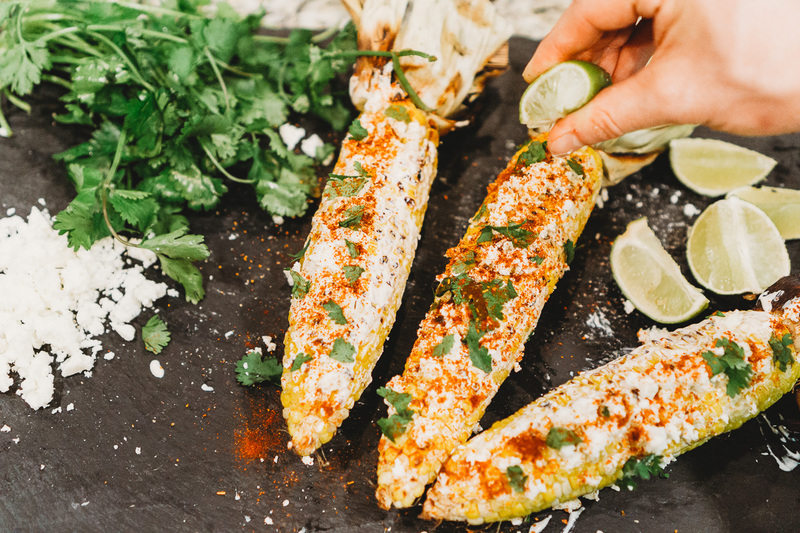 Grilled Mexican Street Corn is one of our go-to side dishes in the summertime. Texas temps rise to over 90 and we’re headed out to the pool and ready to grill! We were first introduced to this dish while growing up in San Antonio. Barbara and I would go to Southtown for the First Fridays art festival and what food would we gravitate towards?! 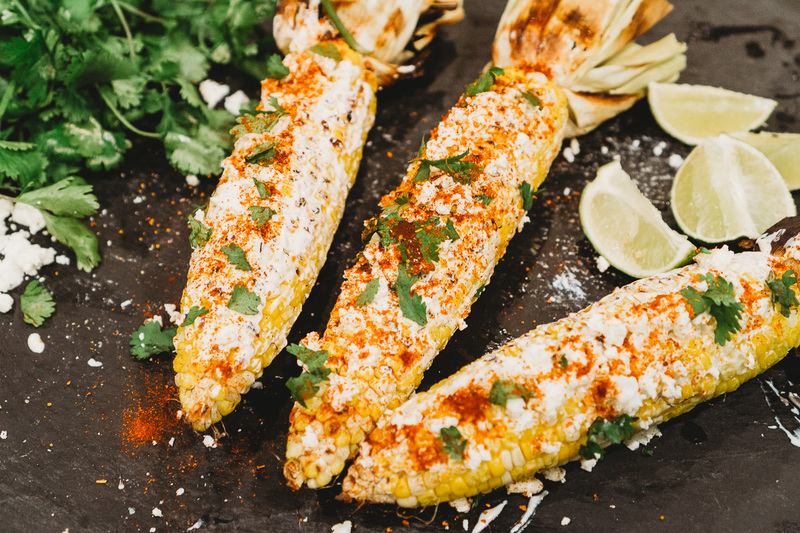 The stands with the super flavorful, mouth-watering grilled Mexican street corn! 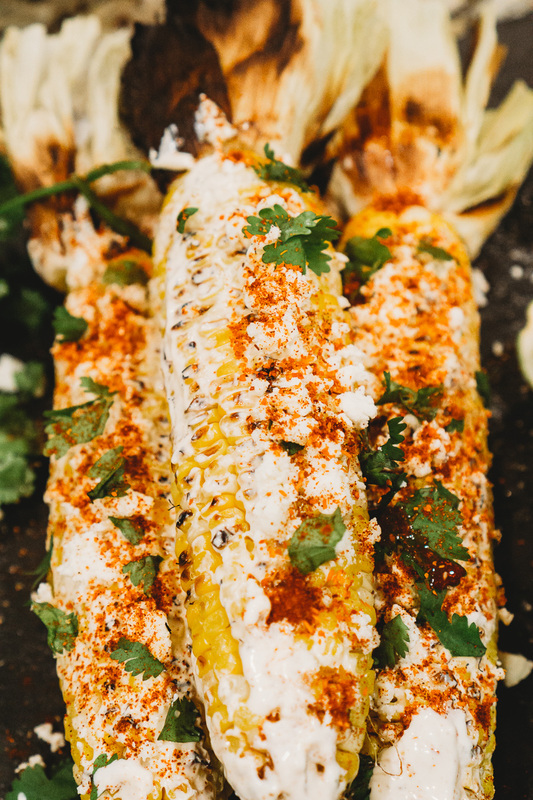 Who can resist the sweet and slightly smokey corn that’s slathered with a mayo and sour cream mixture and then seasoned to perfection with chili, lime, cilantro and cheese!? It’s both nostalgic and delicious, which is why we also love to make it at home and you can too! Keep reading to see how we’re elevating this dish with a fresh take on traditional mayonnaise! Recipe below! 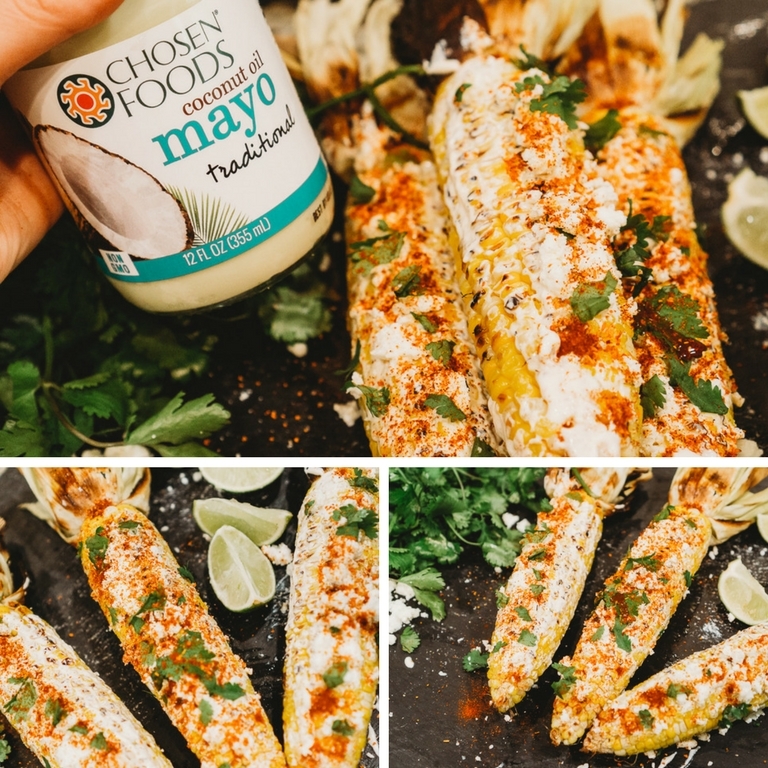 Recently, we came across a new kind of mayo from Chosen Foods that’s made from coconut! Ever since doing Whole30 in January we’ve become big fans of cooking with coconut so we were excited to try out this elevated mayo! 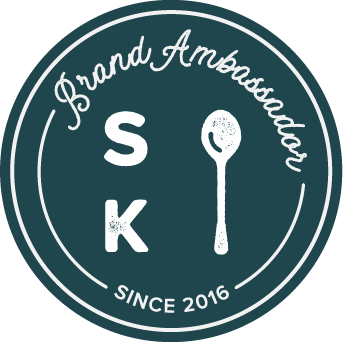 Another thing we love is that this San Diego based health food company believes in real food and specialize in healthy fats, plant based proteins and ancient superfoods and are committed to never using artificial flavors, preservatives or GMOs! Now, this is a brand that we are proud to back and share with you! Where can you find it? It’s available at select Kroger stores locations as well as online at chosenfoods.com. 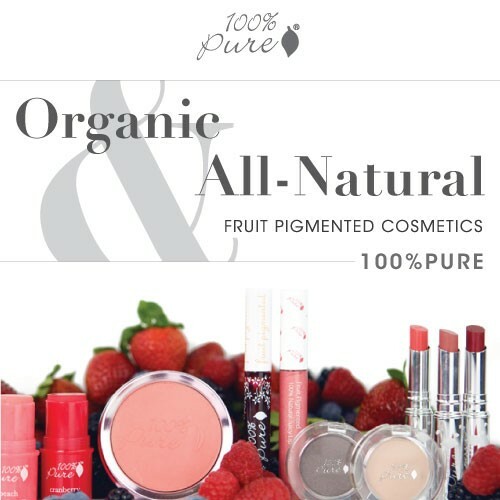 Use the discount code: COCONUTBOGO to BUY ONE, GET ONE FREE!! - Prepare your grill and while preheating mix the Chosen Foods Coconut Mayo, sour cream and chili powder together. If you need to thin the spread out you can also add some lime juice to it. 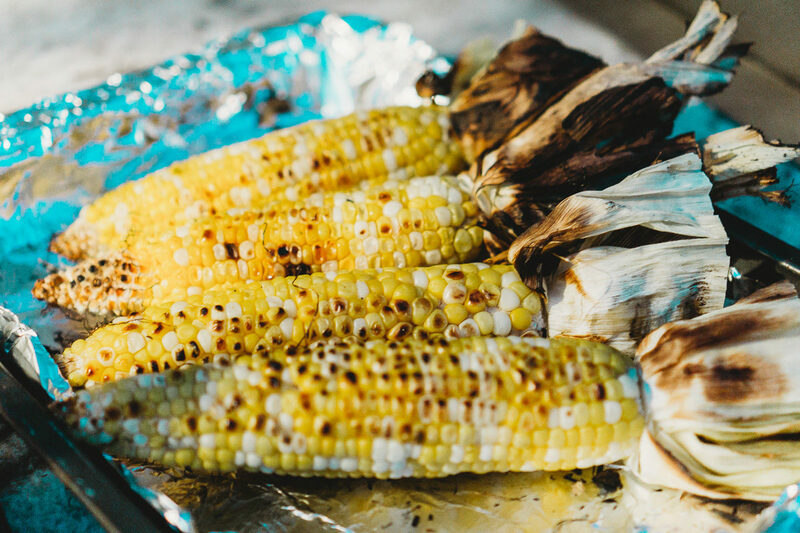 - Next, take your grilled corn and put as much spread on it as you like! Then top with cilantro, more chili powder, cotija cheese and freshly squeezed lime juice and you’re ready to eat! 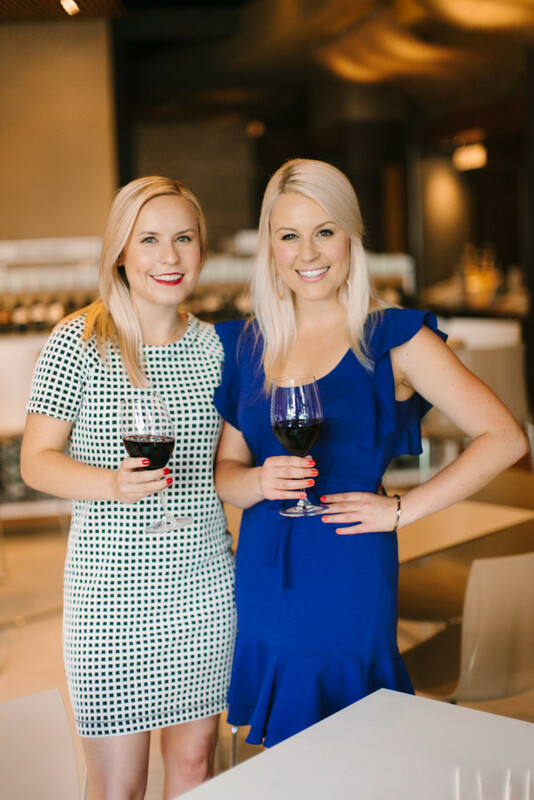 Thank you Mambo Sprouts & Chosen Foods for sponsoring this post! 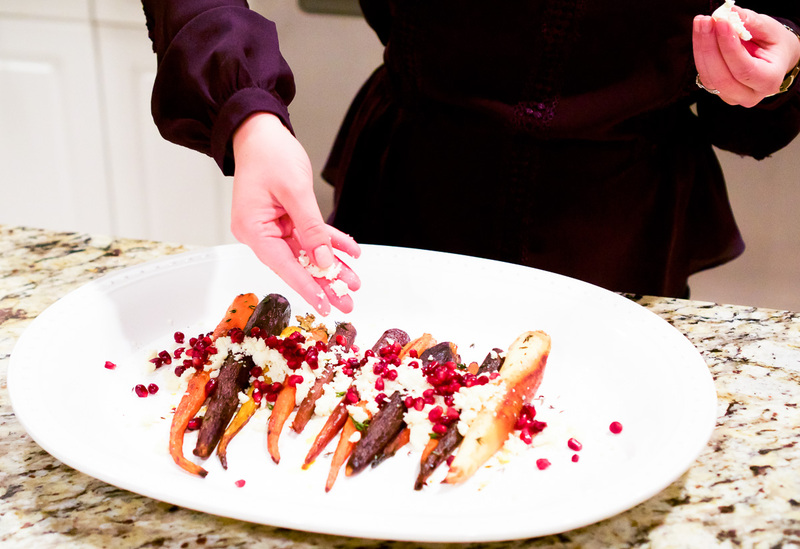 Today on the blog we bring to you a festive, fun and flavorful holiday side dish – Honey & Thyme Roasted Carrots. 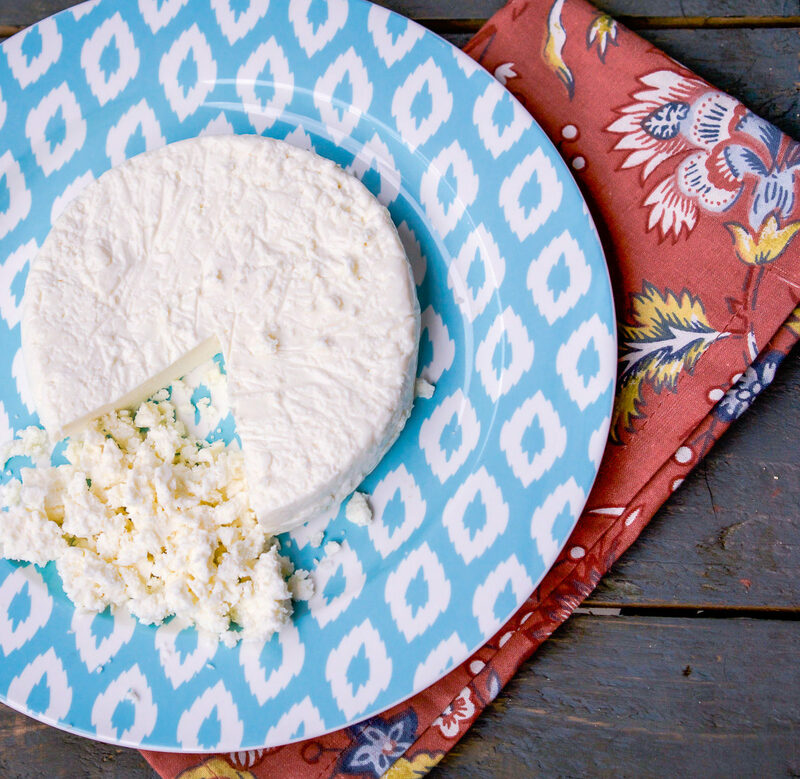 We elevated this dish by adding another savory ingredient, La Vaquita Queso Fresco! As y’all may already know we love all things Texas! Barbara and I were both born in Texas and our mom affectionately calls us her yellow roses of Texas. So of course we get excited when we’re introduced to new food brands made right here in the great state of Texas! Cue, La Vaquita®! 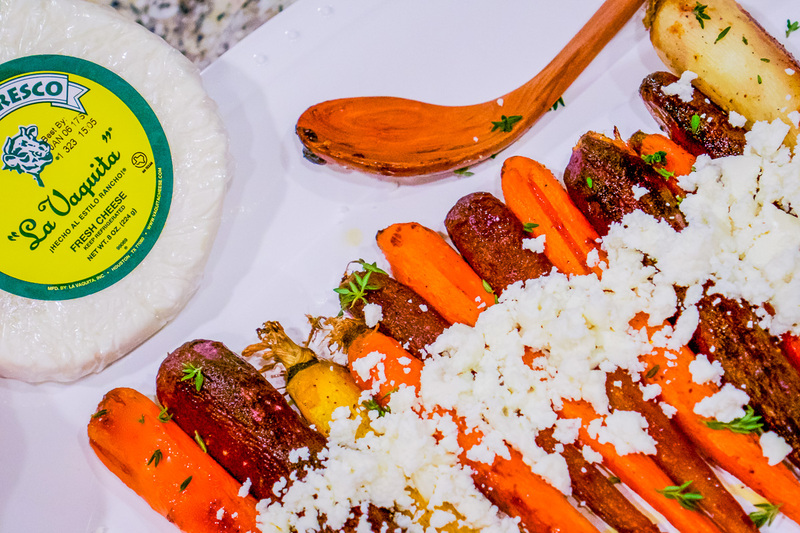 We can’t get enough of their cheeses and have been experimenting in the kitchen coming up with recipes using their delicious queso fresco, which translates into ‘fresh cheese’. Yum! The La Vaquita story is a heartening one. 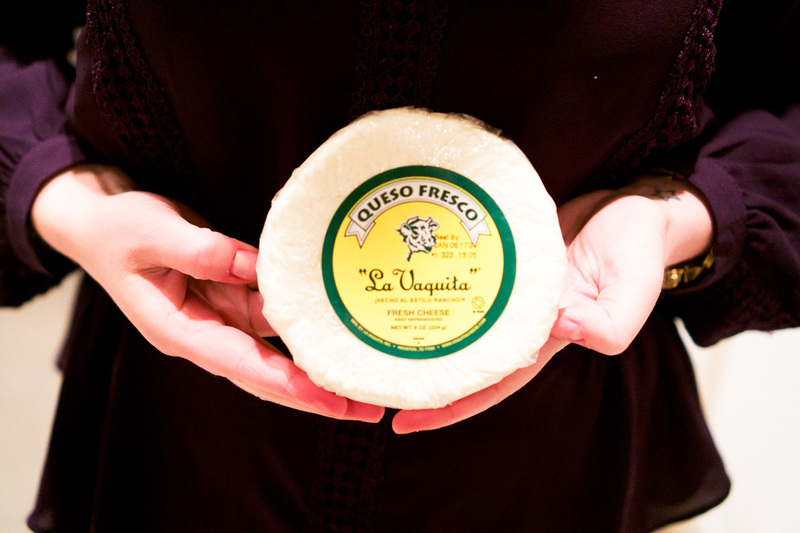 Created in Houston in 1971 by a Mexican immigrant who was inspired by a recipe she learned on her family’s farm, and has since been handed down through generations of cheesemakers. Love this! Preheat oven to 425 and line a baking sheet with parchment paper or foil. In a small bowl melt butter in microwave (about 15 seconds). Add honey and season to the melted butter and mix together. 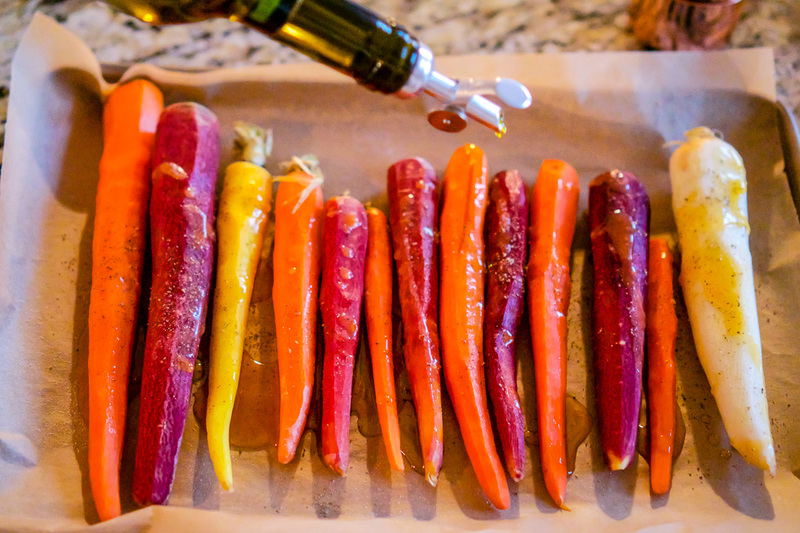 Pour this mixture over carrots and toss to make sure evenly coated. 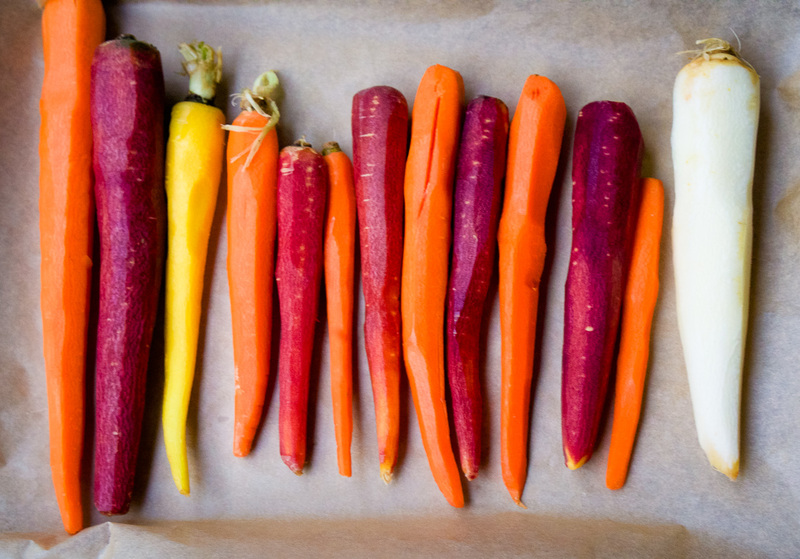 Spread carrots out on baking sheet and roast for 20 minutes, flipping after 10 minutes. 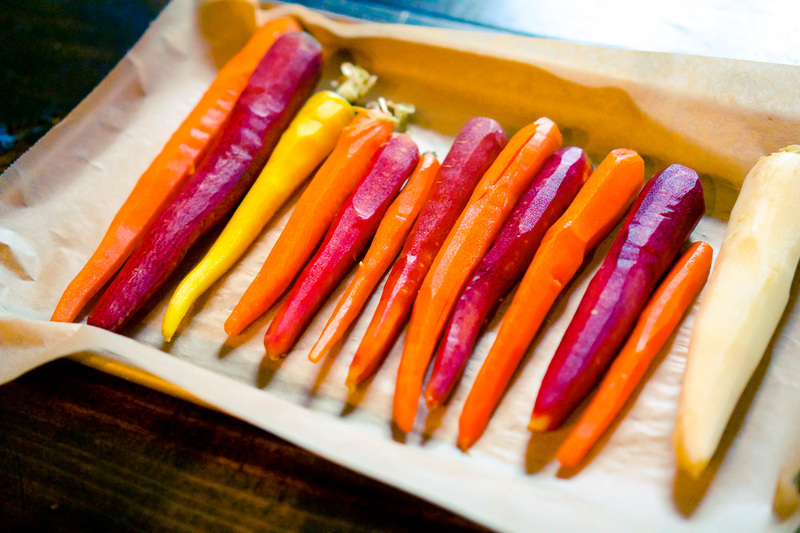 Transfer roasted carrots to a serving dish. Top with crumbled La Vaquita Queso Fresco and pomegranate seeds. 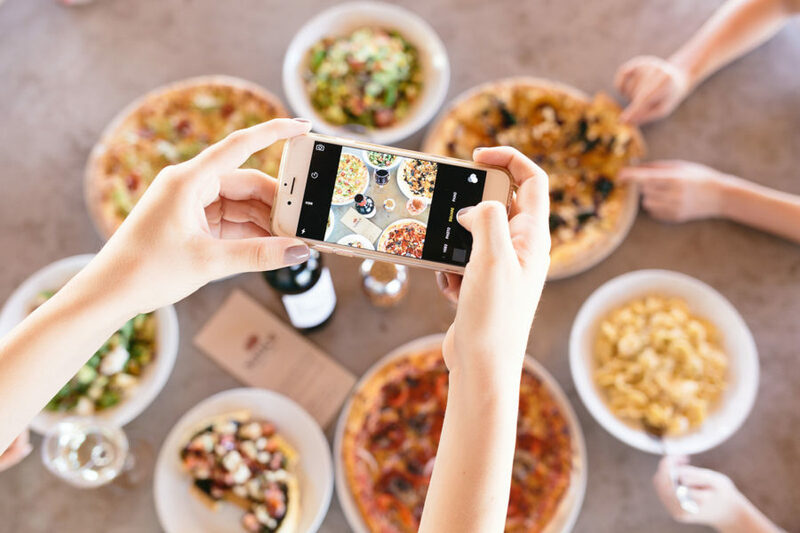 We always like to take classic dishes to the next level by adding an interesting ingredient or trying a different type of cooking method. 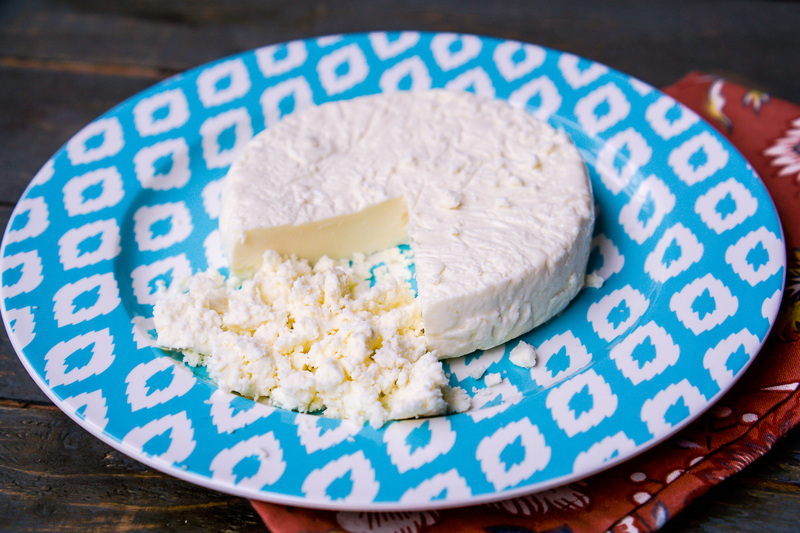 Using an ingredient like La Vaquita cheese is a fantastic addition to traditional holiday dishes and the best part is we get to create memorable cooking moments shared with our family and friends when serving these holiday dishes. 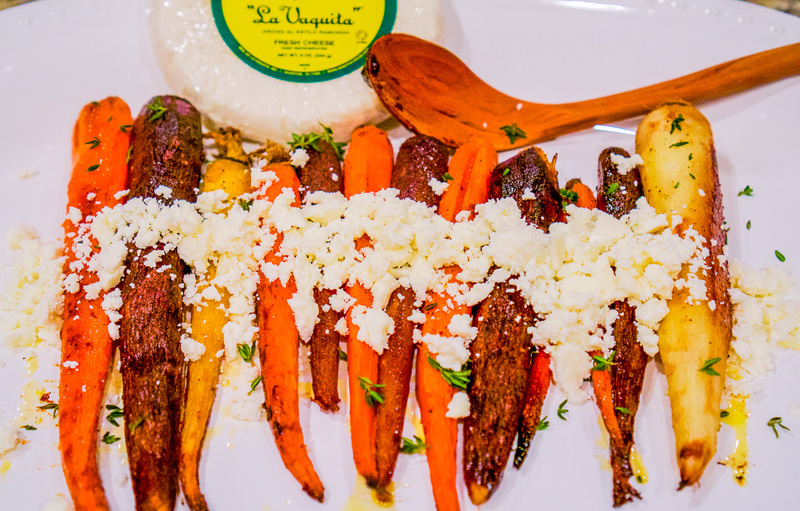 With La Vaquita cheese you can instantly transform a dish into a flavorful, authentic, Mexican culinary experience. These wonderful artisanal Texas products can be found at H-E-B, Central Market (where we bought ours here in Dallas), Fiesta, Kroger and other local grocers throughout Texas. 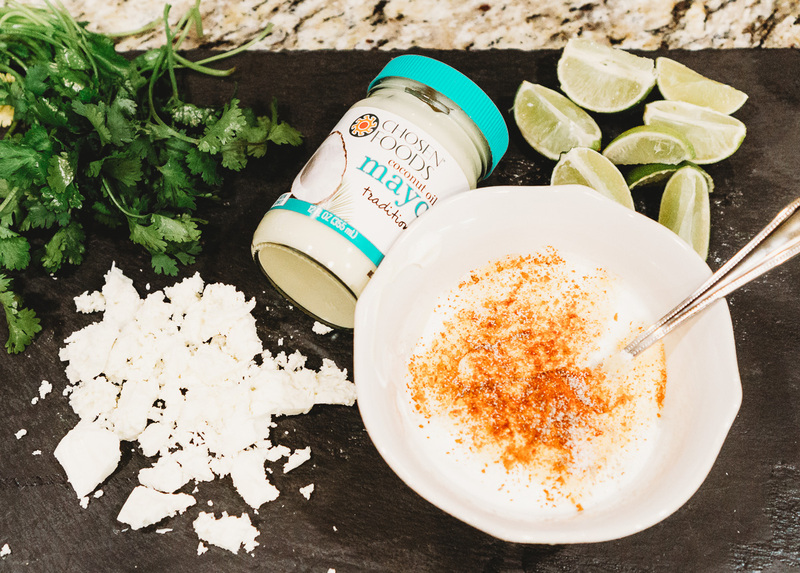 We also love using La Vaquita’s Crema Mexicana, which is cream that has a thinner consistency and slightly sweeter taste than sour cream. We use it to top off tostadas, tacos and salads – yum!!! This post was sponsored by La Vaquita® and all opinions are our own. 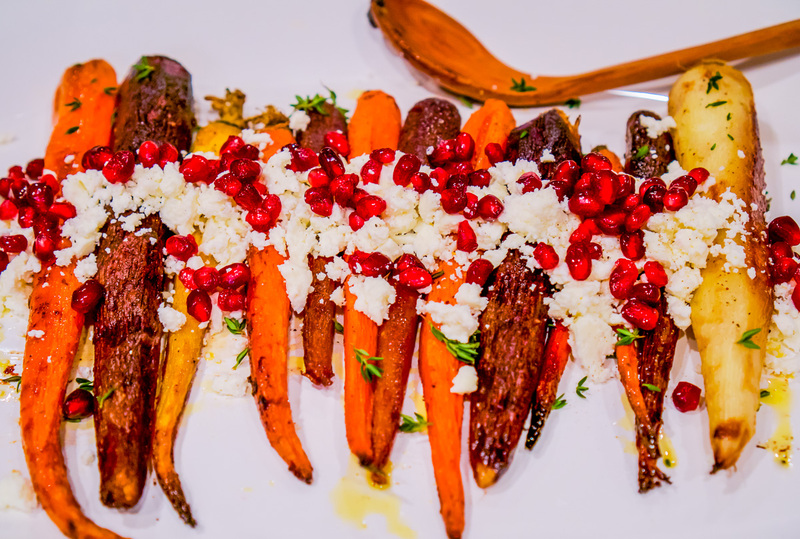 I came up with this Maple Roasted Butternut Squash with toasted walnuts, goat cheese and crispy sage recipe for our Friendsgiving and everyone loved it! 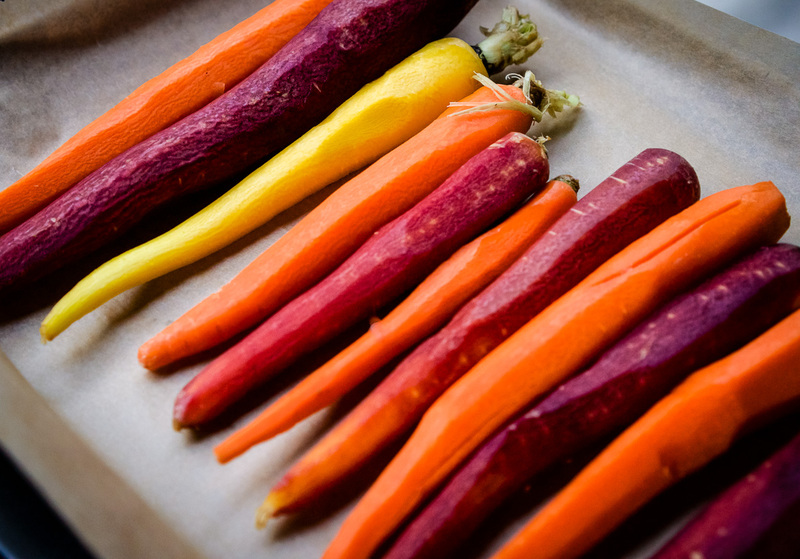 It’s the perfect side dish to add to your Thanksgiving day spread! 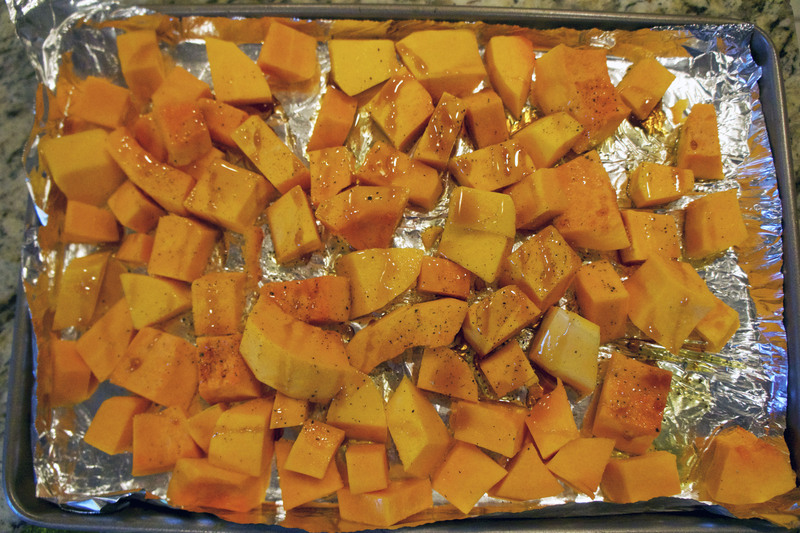 Place the squash in a bowl and add 2 Tbsp. of olive oil, maple syrup and toss with salt and pepper. Then place on baking sheet. Bake for 15 minutes, turn the butternut squash on the sheet, then back for another 15 minutes, or until it starts to brown. Remove from oven and transfer to serving dish. Optional: I like to add a little bit of maple syrup to the bottom of dish – do this right before you put the squash in the serving dish. Heat walnuts in a dry, heavy skillet over medium heat for 1 minute. Since the nuts can burn easily, you must stir constantly to ensure even toasting until the nuts turn golden brown. Remove walnuts to a plate or bowl to cool and sprinkle with salt (optional). 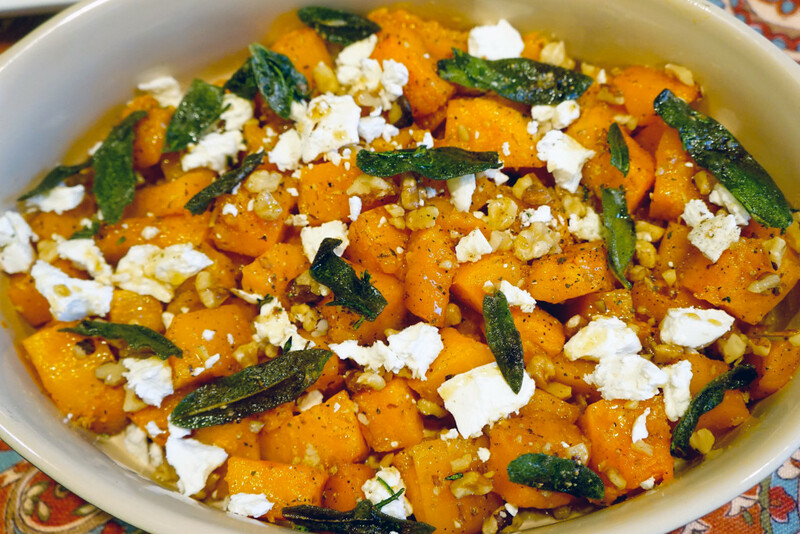 Top the maple roasted butternut squash with the toasted walnuts, crumbled goat cheese and fried sage and rosemary.